Many organizations print business critical documents such as invoices, labels, pick tickets, bills of lading, compliance documents, etc from their Oracle ERP or SCM system. Problems with the printing of these documents will affect important business processes. Specifically, a missed label, pick ticket, or bill of lading can delay a shipment and cause a missed deadline. 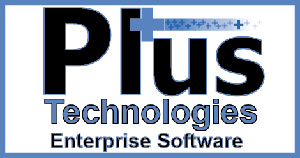 OM Plus Delivery Manager is Oracle ERP proven, advanced, intelligent, print spooling software designed to seamlessly complement Oracle Supply Chain output. For Oracle ERP print spooling, OM Plus ingests and manages the delivery of output requests from one or more Oracle SCM systems, as well as non-Oracle SCM systems. OM Plus increases reliability and scalability; it manages delivery of output to printers and bi-directionally communicates with the device to confirm print occurs properly. In the case of print failure automated actions can occur such as fail-over and notification. OM Plus can report the printer status of each job back to the Oracle users so they can view the status. OM Plus is a perfect complement to Oracle Supply Chain Management or SCM. Additionally, OM Plus improves the performance of production line and shipping environments by reducing print errors, failing-over in the case of printer failure, load balancing to increase throughput, managing bar-code printing, creating print packets, re-ordering print, and many more features.